Sodium lauroyl lactylate is a naturally-derived ingredient that is used in cosmetics and personal care products as a surfactant, emulsifier, and moisturizer. It can also enhance the delivery of other ingredients into the skin and extend fragrance release. Sodium lauroyl lactylate is a sodium salt of the reaction of lauric acid and lactic acid. Lauric acid is a saturated fatty acid with a 12-carbon atom chain, which makes it a medium-chain fatty acid. It is one of the main fatty acids that can be obtained from coconut oil. Lactic acid is an alpha-hydroxy acid that is obtained from milk. These two natural ingredients can be reacted together to form sodium lauroyl lactylate. In addition to use in the cosmetic industry, sodium lauroyl lactylate is used as a food emulsifier that is FDA-approved as a food additive. 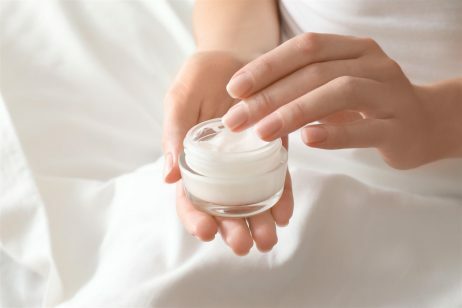 In cosmetics and personal care products, sodium lauroyl lactylate functions as a surfactant, emulsifier, and moisturizer. It can be found in products such as shaving creams, baby products, facial cleansers, fragrances, and more. Sodium lauroyl lactylate is a natural surfactant, which means it lowers the surface tension between two substances, such as two liquids or a liquid and a solid. This enables excess oil and dirt to be easily washed away from the skin, which is why sodium lauroyl lactylate can often be found in cleansing products and shampoos. Another reason why sodium lauroyl lactylate works well in cleansing products is due to its ability to produce a soft, light foam. It is considered to be a gentle cleansing ingredient that will not irritate or dry out the skin. Sodium lauroyl lactylate also functions as an emulsifier in cosmetics and personal care products. Emulsifiers are necessary for products that contain both water and oil components. Mixing water and oil together creates a dispersion of oil droplets in water (and vice versa). However, these two phases can separate if the product is left to settle. To address this problem, an emulsifier can be added to the system to help the droplets remain dispersed. Emulsifiers improve the consistency of a product, which enables an even distribution of topical skin care benefits. The moisturizing properties of sodium lauroyl lactylate primarily come from lauric acid. As a fatty acid, lauric acid lubricates the skin and forms a protective barrier on the skin’s surface that helps to prevent water from evaporating. Lauric acid is also well known for its antimicrobial activity, which is why it is an effective ingredient to use on acne prone skin. Due to its sodium backbone, sodium lauroyl lactylate has the ability to easily penetrate through the top layers of skin. Once absorbed, sodium lauroyl lactylate works to moisturize the skin and also to enhance the delivery of other active ingredients. In addition, sodium lauroyl lactylate can be used to extend the fragrance release of fragrance ingredients in cosmetics and personal care products. The safety of sodium lauroyl lactylate has been evaluated and rated on EWG’s Skin Deep Cosmetic Database. According to the Cosmetic Database, sodium lauroyl lactylate is rated as a 1 on a scale of 1 to 10, with 1 being the lowest risk to health and 10 being the highest. 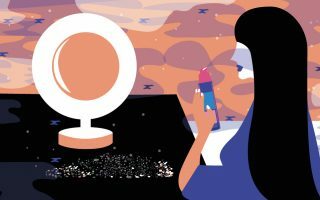 However, the Cosmetic Database does note that there is limited available data on sodium lauroyl lactylate as an ingredient in cosmetics and personal care products. Since sodium lauroyl lactylate penetrates the skin easily, it should be used with caution when combined with other ingredients that could be irritating or sensitizing.